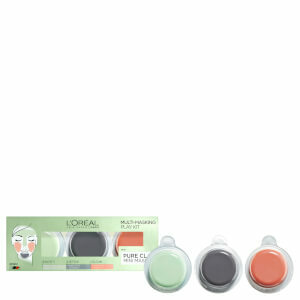 Receive a FREE L'Oréal Paris Pure Clay Mask Multi-Masking when you spend AED70. Complimentary gift will be awarded at the basket. Offer valid for a limited time only, while stocks last. Strongly recommend: great natural finish! I really liked the texture, especially when you have dry skin, keeps the skin hydrated during the whole day. 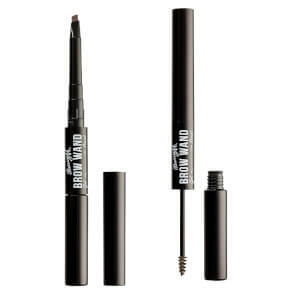 It blends very well with the skin while applying it and the color gives a very natural finish. 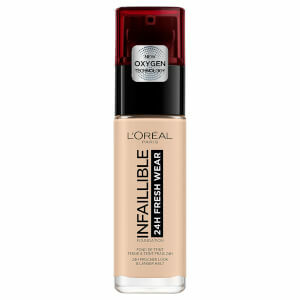 I bought this foundation after I heard half of Hollywood wears it, so thought I would give it a whirl. I didn’t have huge expectations but the price was really good. I have to say I am MIND BLOWN. This stuff is On another level. It’s the best foundation o have ever come across. Amazing colour and it matches your skin like no other foundation has ever matched me. Only downside is it sells out a lot, my shade is never available anywhere. What I like most about this foundation is at the end of the day my skin still looks great! With other foundations I feel you can see blemishes or the redness on my face popping out by midday, but I have been pleasantly surprised by the long lasting coverage of this foundation. I really enjoyed the packaging - no more trying to squeeze out the foundation form the bottle. 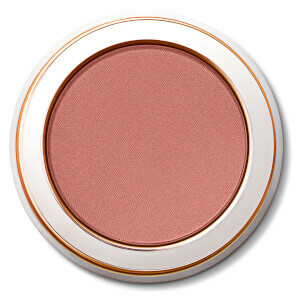 The texture is very light - great foundation, especially for summer month! really suited my skin tone. You can not tell that I am wearing foundation ! Been using this foundation for a few weeks now and love the level of coverage for every day wear. Evens out skin tone with a natural finish without being caked or heavy. I have yellow undertones and the 3 matches perfectly. Highly recommend this foundation!! Love it! This product is a great affordable foundation, especially if you are looking for something light weight and gentle on skin. 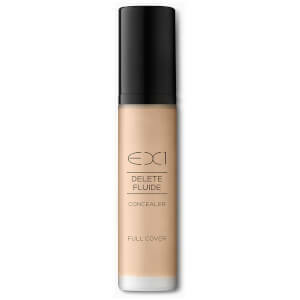 The foundation is quite thin, and does give you a skin like finish, but I did personally find it didn’t cover my redness on my skin as great as I would like it too. The foundation shades are ok, they do oxidise though, so be careful when choosing a shade, it’s nothing major but it is a little darker. I did find that this foundation is good to wear with a decent powder, if not I found that my skin looked quite greasy by the end of the day. But I think it’s ok to wear for a few hours. Overall, I think if you are looking for a foundation, that is skin like and light on the skin, and you are not worried about looking slightly shiny as the day goes on, then this is a good foundation! I absolutely love this foundation! I first heard about this foundation when I heard a lot of celebs use it and thought I would give it a go. I didn't have many expectations but I have been literally BLOWN away by the colour match. This foundation literally is like a second skin. I completely understand why it was named as Best Foundation by Vogue. It's medium builidable cover and covers up my blemishes without me looking cakey. People can't even tell I am wearing it and so many people asked me what I was doing as my skin looked so good! Can't recommend enough, amazing product. I'm knocking a star off my previous review because after giving it plenty more chances Ive found I really don't like it. Firstly the natural finish doesn't last. Maybe a few hours and youd be okay but more than that and it emphasises my dry cheeks so much it looks like a desert. It also doesn't play nicely with other products. I've tried it with stick concealers, pot concealers and my trusted Maybelline age rewind and my under eyes just look terrible. When trying to blend out the concealer I think the foundation is being removed or tbh i don't know what but it just does not look good. Like I said the colour is amazing but for all the cons I won't even think of buying this product again.